Los Angeles D.A. Rachel Knight is a tenacious, wise-cracking, and fiercely intelligent prosecutor in the city's most elite division. When her colleague, Jake, is found dead at a grisly crime scene, Rachel is shaken to the core. She must take over his toughest case: the assault of a young woman from a prominent family. But she can't stop herself from digging deeper into Jake's death, a decision that exposes a world of power and violence and will have her risking her reputation--and her life--to find the truth. With her tremendous expertise in the nuances of L.A. courts and crime, and with a vibrant ensemble cast of characters, Marcia Clark combines intimate detail, riotous humor, and visceral action in a debut thriller that marks the launch of a major new figure on the crime-writing scene. Marcia Clark began practicing law as a criminal defense attorney. She became a prosecutor in the L.A. District Attorney's Office in 1981, and spent ten years in the Special Trials Unit where she handled a number of high profile cases prior to the O.J. Simpson case, including the prosecution of stalker/murderer Robert Bardo, whose conviction for the murder of actress Rebecca Schaeffer resulted in legislation that offered victims better protection from stalkers as well as increased punishment for the offenders. Since the Simpson trial, Ms. Clark has toured the U.S. and Canada giving lectures on a variety of women's issues including domestic violence and inspirational/motivational speeches, as well as lectures on the latest high profile cases, public service careers, and of course, the Trial of the Century. In May of 1997, her book on the Simpson case, Without a Doubt was published and quickly rose to #1 on the New York Times, Wall St. Journal, Washington Post, LA Times, and Publisher's Weekly bestsellers lists. From February 1998 to 2000 Marcia was under contract as a legal analyst and expert commentator for NBC, CNBC and MSNBC. She appeared weekly as the substitute host of Geraldo Rivera's "Rivera Live," and also hosted "Equal Time" for CNBC and "Judge and Jury" for MSNBC. Marcia has appeared on the "Oprah Winfrey Show," the "Larry King Show," the "Today" show, "The Early Show," and "Good Morning America," among others, and provides legal commentary on a wide variety of cable shows such as "Anderson Cooper 360" and "Issues with Jane Velez Mitchell." Marcia Clark (with writing partner, Catherine LePard) has sold hour-long pilots to the FX network, Lifetime, and VH1 and developed a half hour comedy for NBC. She has also developed reality projects for CBS and was an executive producer of a one hour reality pilot for CBS. 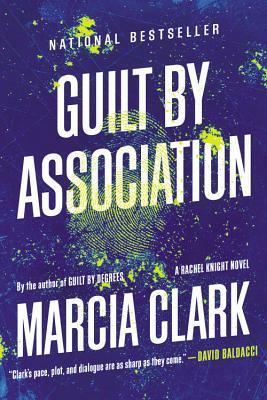 Marcia has published three novels which feature Los Angeles Special Trials prosecutor Rachel Knight: Guilt by Association, Guilt by Degrees, and Killer Ambition, which is due out in June 2013. TNT has optioned the books and a drama series is currently in development. Marcia is attached as an executive producer. She's currently at work on her fourth novel.